The following are some important tips to help ensure that you get the best results from your braces and minimize the duration of your orthodontic treatment. HARD: Popcorn, ice, hard pretzels, chips, nuts, peanut brittle, bagels, pizza crust, hard candy especially jaw breakers! STICKY: Gum (any kind), taffy, caramel, gummy bears, candy bars like Snickers and Butter Fingers, fruit roll ups, Starburst, Swedish Fish, Tootsie Rolls, etc. CHEWY: Granola bars, beef jerky, Slim Jims, Power Bars, etc. You can eat corn, but remember to cut it off the cob first. Always cut your meats from the bone prior to eating. Never bite into the bone such as chicken or ribs. Try to avoid biting into foods as much as possible and use your fork and knife to cut up your food into smaller pieces. Foods high in sugar can cause cavities, calculus build up, and stains on your teeth. Do not pick at your braces, chew on pens or pencils – this can also break off braces. No biting your nails!! This can easily break off brackets. When you get your braces on, you may feel some soreness in your mouth and teeth may be tender while biting for three to five days. This can be relieved by rinsing your mouth with a warm saltwater mouthwash. Dissolve one teaspoonful of salt in eight ounces of warm water, and rinse your mouth vigorously a few times per day. If the tenderness is severe, take whatever you normally take for a headache or similar pain. The lips, cheeks and tongue may also become irritated for one to two weeks as they toughen and become used to the surface of the braces. You can put wax on the braces to help the sores heal or prevent sores from occurring. We’ll show you how! This is to be expected throughout treatment. Don’t worry! It’s normal. Teeth must loosen first so they can be moved. The teeth will again become rigidly fixed in their new corrected positions. After treatment you will get a set of retainers to hold the teeth in place while the bone firms back around the teeth. 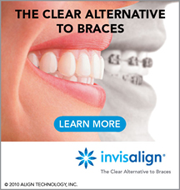 We wear the retainers full time for the first six months following active treatment. After six months of full-time wear of the retainers, we recommend the retainer be worn during nighttime for life. Don’t be alarmed if a wire, bracket, or band comes loose. This happens occasionally. If a wire protrudes and is irritating, use a blunt instrument (back of spoon or the eraser end of a pencil) and carefully, gently push the irritating wire under the archwire. Simply get it out of the way. If irritation to the lips or mouth continues, place wax or wet cotton on the wire to reduce the irritation. Call our office as soon as possible for an appointment to check and repair the appliances. If any piece comes off, save it and bring it with you to the office. To successfully complete the treatment plan, the patient must work together with the orthodontist. The teeth and jaws can only move toward their corrected positions if the patient consistently wears the rubber bands, headgear or other appliances as prescribed by Dr. Angle. Damaged appliances lengthen the treatment time. Also, the cleaner the teeth and appliances, the more healthy the gum tissues are which allows for better tooth movement. It’s more important than ever to brush and floss regularly when you have braces, so the teeth and gums are healthy during and after orthodontic treatment. Patients who do not keep their teeth clean may require more frequent visits to the dentist for a professional cleaning and are more at risk to having decalcifications (permanent spots on the teeth). Adults who have a history of gum disease should also see a periodontist before, during, and after orthodontic treatment. Please see our oral care video to refresh your memory with specific techniques to keep your teeth and appliances clean during treatment. If you play sports, it’s important that you consult us for special precautions. A protective mouth guard is advised for playing contact sports. In case of any accident involving the face, check your mouth and the appliances immediately. If any teeth are loosened or the appliances damaged, please call us immediately for an appointment or to leave a message on the emergency box. In the meantime, treat your discomfort as you would treat any general soreness.